Little Canyon connects Arth's Corner and Great Escape with Gold Bar. The upper end of the trail starts at Gemini Bridges Road and descends via singletrack and slickrock to a 'T' intersection with Great Escape. 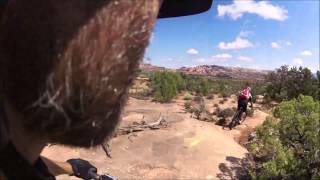 The trail is fast rolling and features awesome views of the La Sal Mountains to the east. Navajo Rocks loop. 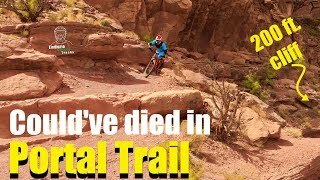 One of the best trails in Moab! Magnificent flow on magnificent trails.